“Hayley has a real eye for putting together beautiful pieces with character and history, mixing them with the quirky and precious. Her amazing collection of treasures and vision is delightful and evocative of another era. Trust her to work her styling magic, or, let her sensitively allow you the freedom and creative control to do it all yourselves, we absolutely loved working with her. Once we had decided on the theme of a 'vintage tea party' for our party night, we contacted Dollys and the rest was easy! Hayley did absolutely everything, from the planning, the catering, the decorating, providing all the cutlery and crockery, staying to ensure all our guests had their first cup of tea and even the washing up and clearing away. Our house was transformed into a decade from the past and then it was completely restored once Hayley had performed her magic clear up operation! Her suggestion of hiring Dollys photo booth, with a variety of costume accessories sounded like such a fun idea and it really was. All our guests commented on what a fantastic party it was! Hayley is very professional, thoughtful, personable and so very easy to get along with. She's great at making your event feel very special....I would 100% recommend Dollys for your event. Dolly's Vintage Tea party supplied vintage crockery for the afternoon tea at my wedding at The Temple in October 2012. It was fantastic and a definite plus for me that the items all came packed in vintage suitcases which I could also use as part of my decorations. I also hired a lovely screen which we decorated for use in the ceremony hall. Nothing was too much trouble for Hayley, who took the time to understand exactly what I was looking for, inviting me over to see her range of beautiful vintage items in plenty of time before the big day. After meeting Hayley I was sure that she knew the look that I was hoping to achieve on the day and was confident that she would do all that she could to help me achieve it. The service was great, Hayley delivered all that she said she would and more! I was so pleased to be able to support a local business and a friend of a friend. On the day my guests all commented on how beautiful the decorations were - so thank you Hayley for helping me make that happen - it was just how I had envisioned it would look and we had just the most perfect day! We have always enjoyed a very professional service from Dolly’s vintage tea party and the beautifully chosen pieces have added a very special touch to our recent events. I have no hesitation in thoroughly recommending Hayley and Dolly’s vintage tea party, their excellent service and wonderful vintage china offer a truly exceptional experience. I used Dollys Vintage Tea Party to dress a corporate event for 120 people on a theme of Madhatters Tea Party. The mismatched crockery and mini milk bottles really helped to pull the theme together and gave a very vintage feel to the event. I was truly impressed by their professionalism, willingness to help and styling suggestions. The level of customer care was second to none and I would not hesitate to recommend Dollys to friends and colleagues. Heidi Frewin, Proctor & Gamble uk. Dollys Vintage Tea Party were the complete service. 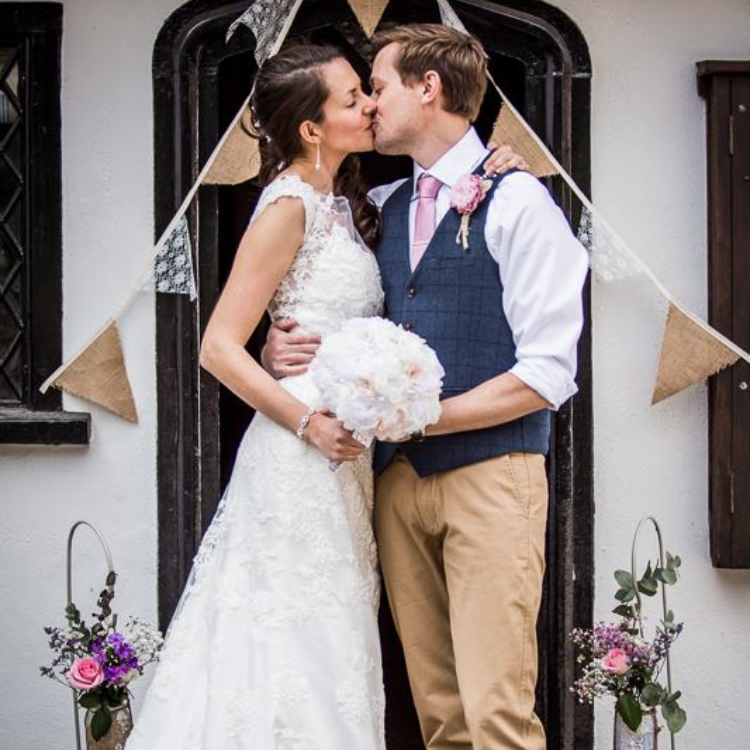 Not only did they have a huge array of vintage items - from props and prams to plates, trios and teapots, but Hayley offered her honest opinion and shared her ideas on how I could make our wedding even more special and to our budget. Dollys were extremely helpful throughout the wedding buildup which took alot of pressure off the organisation for the big day. I am so glad we chose such a trustworthy, caring company to help us plan our wonderful day. It was lovely to finally meet with you after much correspondence, thankyou for entertaining us. We both loved seeing your beautiful cottage and very much enjoyed the surprise afternoon tea you provided. We really appreciate you brainstorming ideas with us and giving us cost effective suggestions to fit our English country garden theme. Hannah would like to express her thanks for providing the 180 metres of beautiful bunting and impressive cupcake stand. It all looked just like the garden tea party theme we were looking for. All the team at Topshop/Topman Cambridge. Andy and I just wanted to send you a message to say how grateful we were for Dolly's Vintage Tea Party's help with our big day. The vintage accessories we got from Dolly's brought our Alice in Wonderland theme alive! We have a great memory too of coming to choose all our items in your Aladdins cave of vintage loveliness! You were so helpful and really listened to us about our ideas and helped us make them a reality. We wish you and Dolly's every success and will certainly be spreading the word to all our friends! In an even bigger respect, Nathan & I would very much like to extend our deepest thanks to you for what you provided us with for our big day.We were smitten with the china from the start and could not of asked for a more picturesque reception. Not only that, but all of our guests commented on how beautiful the china and setting was, which was of course due in the most part to your vast collection. A huge thank you once more. We can't thank you enough for helping to make our wedding day perfect! We have been inundated with comments about how amazing the venue looked and we loved the way people really picked up on all the little details you had worked so hard on! We had the most amazing day and everything ran really smoothly which again was down to all your hard work so thank you, thank you, thank you! I have to admit, without your brilliant goods the day may well have been a disaster as the weather was so dreadful we couldn't go outside at all. By having the photobooth we had hours of fun and no-one really noticed the dreadful weather in the end- apart from me obviously, but there's not a lot you can do about that. The candy stall was a massive hit with the children (and adults!) too. Thanks again for being such a wonderful caterer and stylist and helping to make our day as special as we imagined. I know you spent a lot of time planning and organising the day to make sure it was perfect and I am grateful that you persevered - I hope you are too! I know we were difficult at times! It was such fun having the photo booth - and so unique! Melissa was so pleased with the surprise. Many thanks for all your wonderful props and help in making the entertainment side of her day memorable for many reasons – The images we have had are both brilliant and priceless. I must say, so much nicer and more stylish than one of these “passport photo” booths, not to mention much less expensive. We are so pleased to have found you at such short notice. First of all..... WOW!!! Your company is magnificent!!! I'm so in love with it all! It was a real pleasure to look around Dolly's, your passion for all things vintage and your creative flair was inspiring. I would like to thank you very, very much for all your efforts and helping us with the right choices for the wedding. Everyone loved it! And the tea crockery... it was simply divine!I hope we still meet you someday to say thank you personally. Once again, thank you for all your wishes and beautiful words. Your contribution was fundamental for making our day unforgettable. Thank you so much for everything you did for us, not only for last weekend but for being such a fantastic professional and “friend” to Beah and me over a long period of time! I am told that the Barn has never looked better and our guests were blown away by everything you did to make it the most perfect vintage wedding. No-one could have done as well as you did in making everything so perfect, your creativity and eye for detail and just making everything work together is outstanding and in so many ways you were just such a pleasure for everyone to work with – especially us. Briony in very impressed with both you and your excellent work and has put you on her preferred supplier list, you are the only one for vintage as she has never been very impressed before, so I do hope you get some more commissions from the beautiful Hales Hall Norwich.